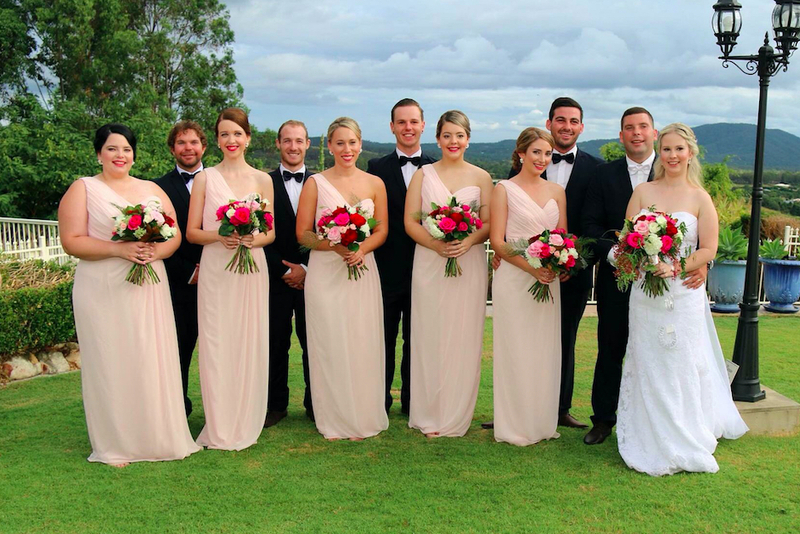 We're joining in on the Valentine Day's cheer by featuring Shannon and Tim's pink and red themed nuptials! 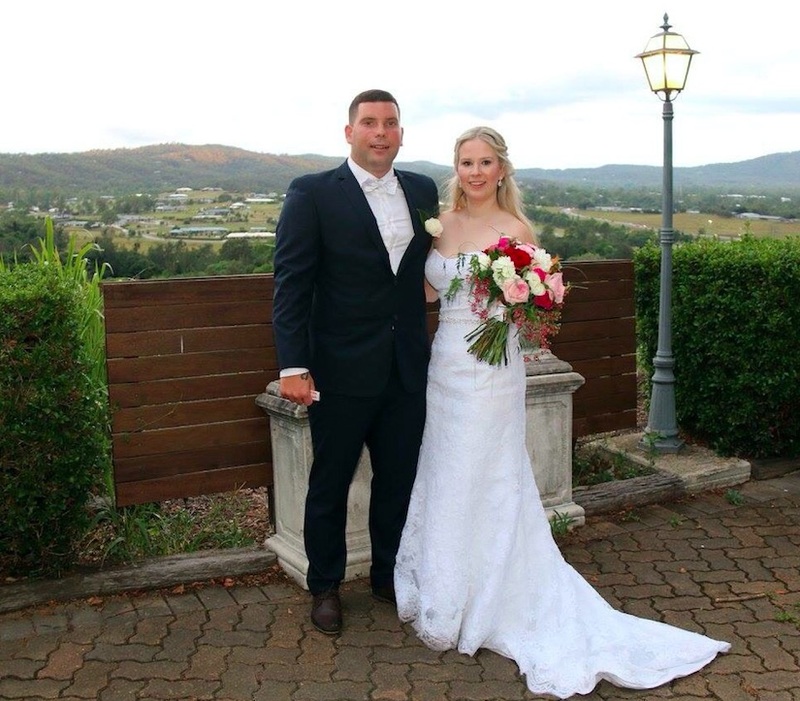 Married in Queensland, Australia at Topiaries Beaumont House, the bride and groom thoroughly enjoyed planning their wedding, including picking out suppliers, colors and themes, and taking on some fun DIY projects. 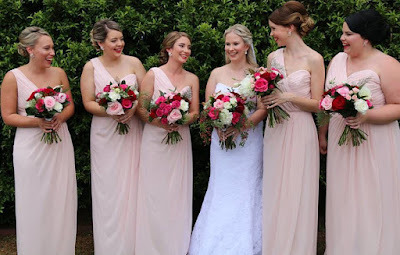 Shannon's favorite part of the day was getting ready with her mom and bridesmaids, but she also loved their reception's memorable speeches and laughing and dancing with Tim. 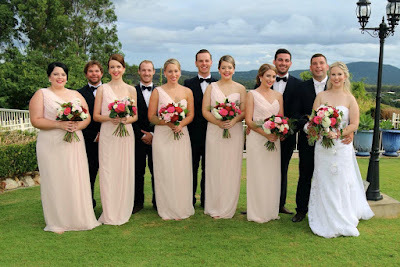 The bridesmaids wore Dessy Collection Style 2905 in the light pink color Blush. Besides being offered in all colors for regular production, this popular and versatile one shoulder style is also available as a Quick Delivery dress in select colors that ship in 1-2 weeks! I loved my bridesmaids dresses! They made the whole wedding just perfect. Joielle was the best decision I made. 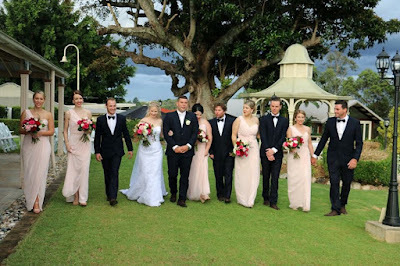 I had 5 bridesmaids with all different body shapes and needed something to accommodate everyone. The ordering and sizing was so easy and the team was always available over email with any questions I had. You girls definitely made the process so smooth and easy. 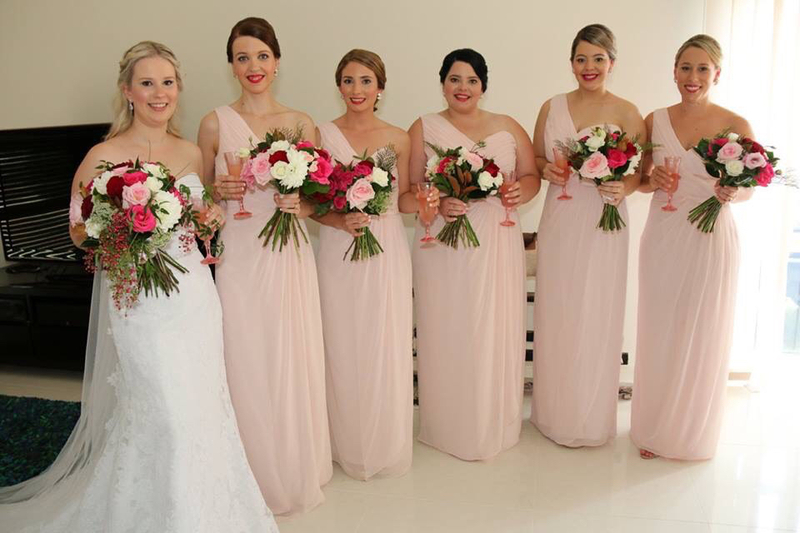 The dresses arrived on time and in perfect condition. Such great quality, I will definitely be recommending to other brides. Thank you Shannon for your kind words about our store and service. It's a pleasure to work with brides like you. We wish you and Tim a joyful and abundant life together!